SATURDAY 8 A.M. TO 2 P.M.
Moving and need a truck or trailer, book it on line. www.mrtireservice.net Minneapolis car repair specialist, all makes and models. Balancing with new tire purchase, Many brands to choose from. ABS Brake System repair and diagnostics. 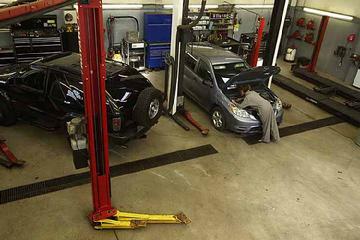 Two & Four Wheel Alignments, Tune - up service. Check Engine/motor Light diagnostics, Radiator and Cooling System repair and diagnostics. Tire Repair Mounting and Balancing. Automatic Transmission Repaired and Service, fluid change. Heating and Air Conditioning service, Used Vehicle inspections, Exhaust/muffler System repairs. Fuel System repairs, Manufacture's Scheduled Maintenance services. 1 block north of Broadway at 1227 Central Ave NE, 55413. National Accounts and Corporate accounts are welcome! NAPA Car Care Centers offering 12 month 12,000 mile nationwide warranties on repairs. Minneapolis Home & Garden The complete guide to Home & Garden in the Minneapolis region.